The 26th annual event is set to brings scores of residents and their families to the historic Mt. Laurel Meetinghouse for a wide-array of peach flavored treats. If folks in Mt. Laurel aren’t already feeling peachy keen with this summer weather, they might start feeling that way soon when the Mt. 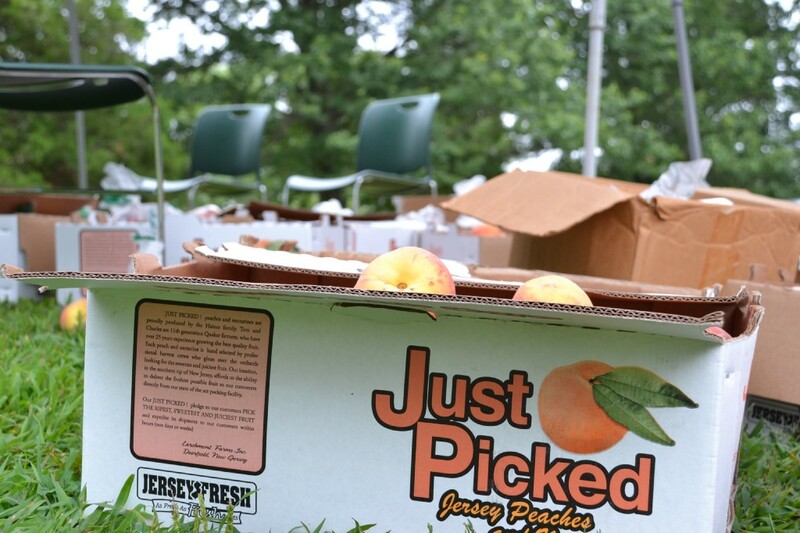 Laurel Meeting Peach Festival returns on Saturday, Aug. 5, from 4:30 to 7 p.m. The 26th annual event is set to bring scores of residents and their families to the historic Mt. Laurel Meetinghouse at the corner of Moorestown-Mt. Laurel Road and Hainesport-Mt. Laurel Road for a wide-array of peach flavored treats. Whether it’s homemade ice cream churned onsite with peaches on the side, homemade cakes topped with peaches or just a couple of peaches by themselves, residents will be able to enjoy fresh, locally grown fruit while they learn about the history of the Mt. Laurel Meetinghouse. “It’s a fun chance for people to hear about local history, and it’s a nice summer, family event, when it feels good to be outside eating local fruit and good ice cream,” said Lucy Beard, a member of Mt. Laurel Meeting and volunteer at the festival. According to Beard, the Mt. Laurel Meetinghouse is listed on the National Register of Historic Places and is one of the oldest Quaker buildings in the Delaware Valley. Built in 1760, the structure was used as a temporary hospital for American and British soldiers during the Revolutionary War and celebrates 256 years of continuous use this year. In addition to enjoying some tasty peaches at the festival, Beard said locals are encouraged to listen to volunteers as they offer tours of the building. Proceeds from the Mt. Laurel Meeting Peach Festival support the upkeep and restoration of the historic meetinghouse. Beard said the festival also provides a chance for the township’s older, longtime residents to visit with other longtime residents who might not get the chance to see one another as often as they would like. “There’s a lot of people in this area that have lived her quite awhile, and it’s fun to see them see each other and renewing ties,” Beard said. Tickets to the Mt. Laurel Meeting Peach Festival are $5 for adults, $3 for children and free for children under age 4. The event is rain or shine. Several classic cars will be available to view at the event as well. Those looking for more information about the Mt. Laurel Meeting Peach Festival can contact the meeting office at (856) 235–1561 before Aug. 4.